WOW! Last minute flights to Mexico: Cancun for only €200!! UPDATE 2.11.2017: Super cheap flights from Cologne (Köln) or Frankfurt to Cancun in Mexico again available for only €305! Direct flight and 20 kg luggage included too! Fixed dates: 8.11.-26.11. or 8.11.-29.11., other dates for slightly higher price. Book now, check screenshot. UPDATE 8.6.: Cheap last minute flight from Cologne to Cancun again available for just €250! Travel dates 11.6.-29.6. or 11.6.-25.6. for €275. Book fast! Wow this is a seriously good price! 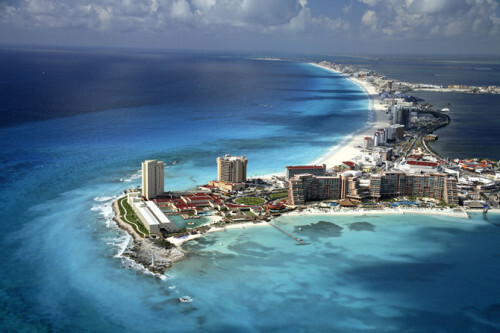 You can now book last minute flights from Cologne/Bonn to Cancun in Mexico for only €200! Getting to Cologne is easy with Eurowings or Ryanair from many airports across whole Europe, use Momondo to find your connecting flight. You can also go with cheap Flixbus buses. These are also direct flights with no transfers so you save your time! To get this incredible price, book fast directly at TUIfly. You have to be fast to get these super cheap deals. 😉 We tested it one hour after we published the article and it was still there but the amount of seats is of course limited so now it’s indeed gone. « Cheap flights to Thailand in main season: Chiang Mai for only €362!